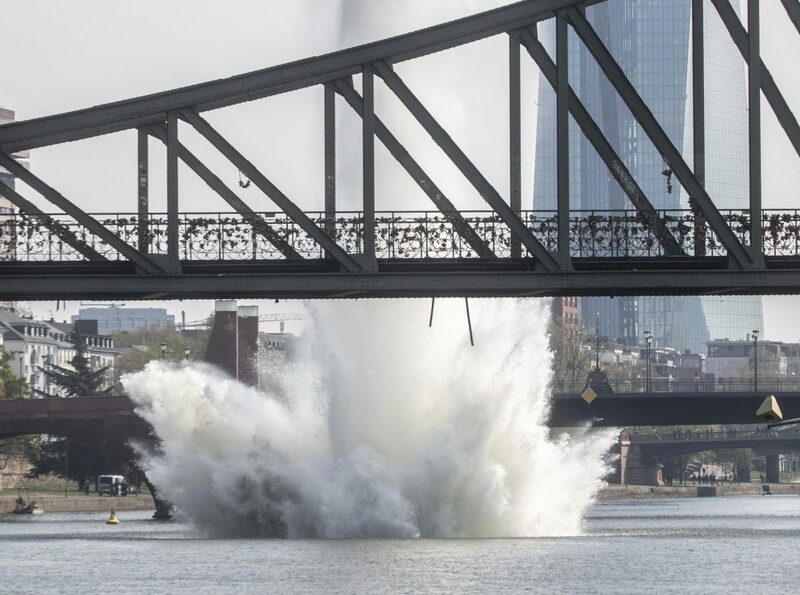 BERLIN—Some 600 people have been evacuated from their homes in the old city of Frankfurt so specialists could remove a World War II-era bomb that was discovered in the Main River. During the underwater defusing, a more than 30-meters high fountain was rising and visible from afar. 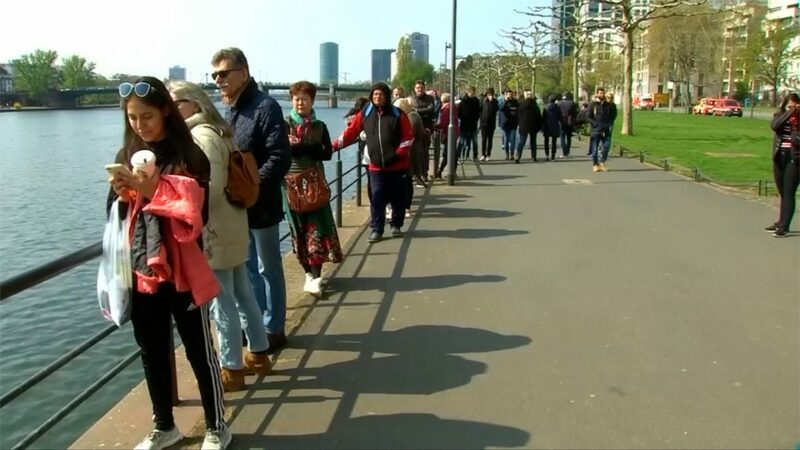 “This huge explosion and water fountain were really impressive and huge, that worked really well.” said Claudia Klerks, who happened to be there with her husband.